A recent survey of 1,400 workers by a Philadelphia management firm reported that 84 percent of respondents said they plan to seek a new job in 2011. What would happen if you surveyed your employees? Would the number be that high? And if they all resigned, how would your company look after the exodus? Employers know that finding and keeping great employees is one of the toughest aspects of running a business. It takes a great deal of resources—both time and money—to hire a new employee, and there are no guarantees that a new hire will stick around long enough for the company to recoup its investment. The tough economy has added to employee dissatisfaction. Working conditions at many companies have been difficult, with fewer employees doing the same amount of work. Benefits and hours have been cut, too, leaving plenty of people ready to jump ship as soon as hiring starts up again. What can an employer do to keep a good employee from jumping ship? And how can one avoid a surprise batch of turnovers? Listen and observe your staff. Do you see general apathy? A lack of enthusiasm for new tasks? Are people coming in late and leaving early? Your employees may be trying to tell you that all is not well. Try moving people around to different positions. Cross training can perk up and employee, make their job more interesting and keep him or her from looking for a new job. Engage your staff more often. If you need fresh ideas on how to improve sales, cut costs or increase customer satisfaction, hold a brainstorming session to get everyone’s input. Who knows your business and customers better than your staff? Asking for their help builds value. Remember that keeping a good employee longer starts with recruitment. Hire for a great attitude and provide tools a new employee needs to succeed. And don’t overlook the importance of pre-employment screening. It’s the best way to know that you’re hiring a qualified and trustworthy employee and building a strong team. Is March Madness Good or Bad for Productivity? Now that March Madness is over, some business owners are reconsidering their policies on the activity surrounding the tournament in the workplace. The innocent office basketball pool can become a dangerous game. And if money is changing hands, it could be even more so–because gambling is not legal everywhere! 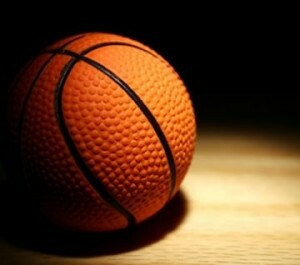 A recent survey by CareerBuider indicated that 20 percent of workers have participated in March Madness pools at work. Other reports mention the billions of dollars in lost productivity to business that the March Madness Tournament “inspires.” Maybe your employees are included in those 20 percent and you see a loss in productivity. And maybe you’re fine with that. On the other hand, maybe your office has a more formal atmosphere and you prefer to keep it that way. Can trust your staff to keep the party to a minimum and still get the job done? Avoid online activity, as online betting laws can easily be broken. As the business owner, it might be a good idea for you to avoid any involvement in the pool. Think about the boost in morale that a March Madness pool could create. Sometimes, hard-working teams need a way to blow off steam and just enjoy their co-workers and the time they spend at work. Focus on the amount of work your staff is producing—not necessarily the amount of time they’re spending on their tasks. Remember, it’s been a tough couple of years, and your employees might just need a fun break. Your employees are your most important resource. Think carefully before you take away their March Madness pool!